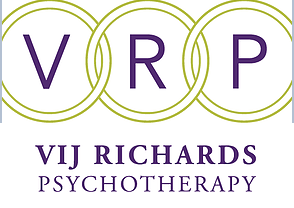 Vij Richards offers Divorce Angels users a free 30 minute consult. I have been in healthcare for over 30yrs, first as a Registered Nurse and now as a therapist. I offer support to adults and couples dealing with stress, depression, anxiety, loss and trauma. Solution focused therapy- a coaching approach to name the problem and look at priorizing and problem solving for the best interests of you, as my client. CBT-Cognitive Behaviour Therapy looks at the way you think,the beliefs you may have, that maybe impacting your thoughts, mood and behaviours towards yourself and others. Being able to shift these thoughts to a more balanced way improves all relationships. Mindfulness-Slowing down to take in your present experience with acceptance and without judgement, allows choice and a response instead of impulsive and reactive behaviours. Emotional Freeedom Technique- An easy to learn stress reduction technique that calms the nervous system and gives you the ability to stay focused to the task at hand, or remain engaged with the situation or person you are with. Great for releasing fear, anger, guilt. Chakra balancing and cording-I can balance your energy body to support your physical health. Great for pre/post op health. Cording can cut or transform the energy of a person you no longer want to be attached to. Somatic attachment healing- Is recognizing that all trauma is held in the body and as a therapist I support finding ways to access the trauma and using the wisdom of the body to find ways to release it. When Vij meets with a couple she wants to learn their dance in relationship with each other, and what happened to break it down. She likes to teach her clients how their brains develop and respond under stress. If she can support healing a relationship then she helps people put their focus there. 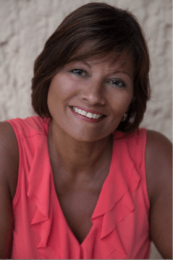 Vij works with all goals of her clients -- whether it be to support the relationship to repair or support the separation and divorce of a couple. She has compassion for the difficult decision to divorce as she had a 20 year relationship of her own that ended in separation, and then 6 months later she became a widow. She also knows now, from understanding her early attachment pattern, that in doing her own work and healing, that greater intimacy, deeper connection, and more fun can be had in relationships. She is happily re-married. Her four daughters have adapted and gone on to develop their own successful adult relationships. Vij teaches that no matter where you are in any or your relationships it's possible to create more satisfaction. Vij believes that we are all hard wired to love and need connections as the social beings we are.